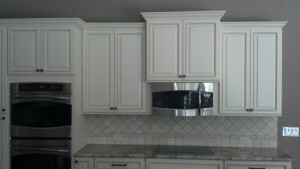 For your kitchen remodel, what we can provide for you is only bounded by your imagination. From UltraCraft cabinetry in wood and other sleek materials, to granite countertops, ornate fixtures, and beautiful flooring, our array of products and services runs deep. If you’d like to relocate appliances or even knock down a wall to create additional space, as a State of Florida licensed contractor, we can ensure the work is done with craftsmanship and precision. For additional information regarding the kitchen remodel services we offer for homeowners throughout the Tampa Bay area, please contact KitchenAlity today to schedule an in-home meeting with one of our experts. We’re proud to bring personality to kitchens in South Tampa, North Tampa, and all communities in and around the Tampa Bay, FL, area.